Thank you everyone for contributing great projects to our Fiber Boards! website with links to everything! Great selection! I hadn't seen most of these, so I'm so glad you compiled them! Fiber Arts Boards Featured Projects! Trekky has been making beautiful pieces of art! Thank you to our members for posting fabulous creations! Keep up the good work! Re: Fiber Arts Boards Featured Projects! Wow! These are amazing works of art. Their all wonderful but the squirrel head and womans head, WOW! Truly amazing. 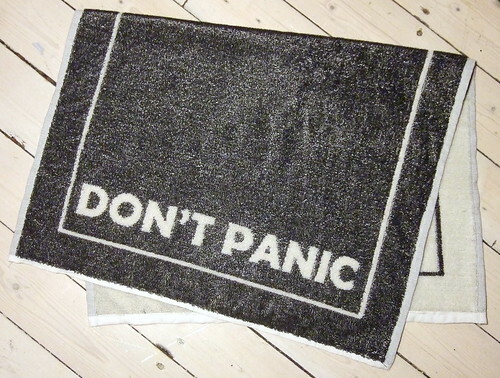 Just never knew that you could make things like these with felt. aren't they amazing? So many great the creations from our Members! Here's a fresh batch of awesome projects that were posted on the Fibre boards so far this year. Each project was chosen because it came up in the "this Rocks" list! Keep on "Rockin'" those projects you love! Maybe they'll end up featured! The Felting boards having been hopping! We have a few from that board! Paxye needle felted this great garden scene inspired by a childhood neighbour. P_E_S_T needle felted this awesome Zelda inspired piece of needle felted art. Ptarmic wumpus created this one of a kind and totally unique sea slug, using both wet and needle felting! 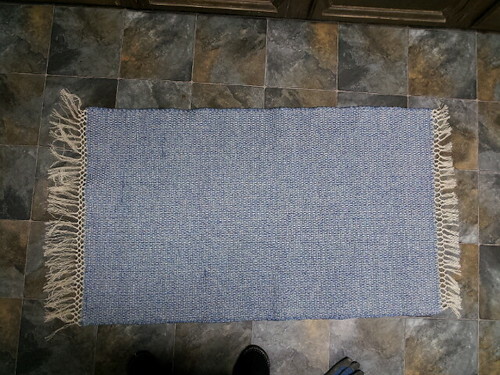 The weaving boards did manage to get one thread on the "this Rocks" list! Belladune created two pin woven tapestries! Click the picture to see the other! Spinning got a few projects "rocked" too! Mullerslanefarmdid a bunch of spinning! Check out her awesome work by clicking this picture! Jexxican spun up a few skeins of Lady bug inspired yarn for a charity. 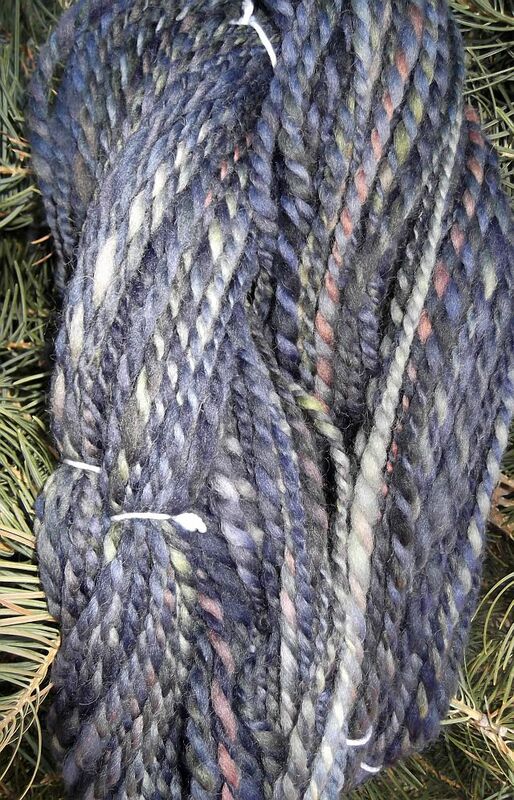 There's also some beautiful dyeing there! And Last but not least, the Dyeing boards see some action too! Abbeeroad posted this wonderful tutorial on how to tie dye with a squirt bottle! Look at the cool t-shirt she made! I am constantly amazed at what you all do with fiber. The beautiful colors and creations. Isn't awesome, how creative our members can be with fibre and dye? Wow! 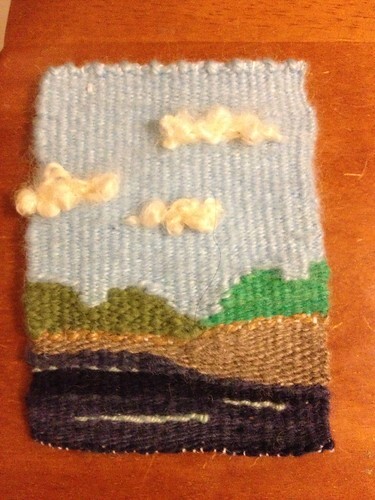 I need to check out the felting board more often!! You`re Welcome, Cyndi! Your thread got `rocked, so it`was not just me, but some other Craftster members who chose your work! 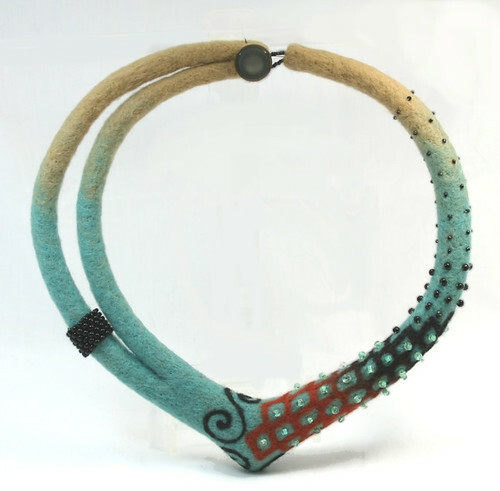 Meet Our Featured Artist in Fiber Arts - Belladune!